ঢাকা: সামাজিক যোগাযোগ মাধ্যম ফেসবুকে পৃথুলা রশিদ নিজের সম্পর্কে লিখেছিলেন, Ordinary girl with extraordinary love for aviation, literature and floofy animals. 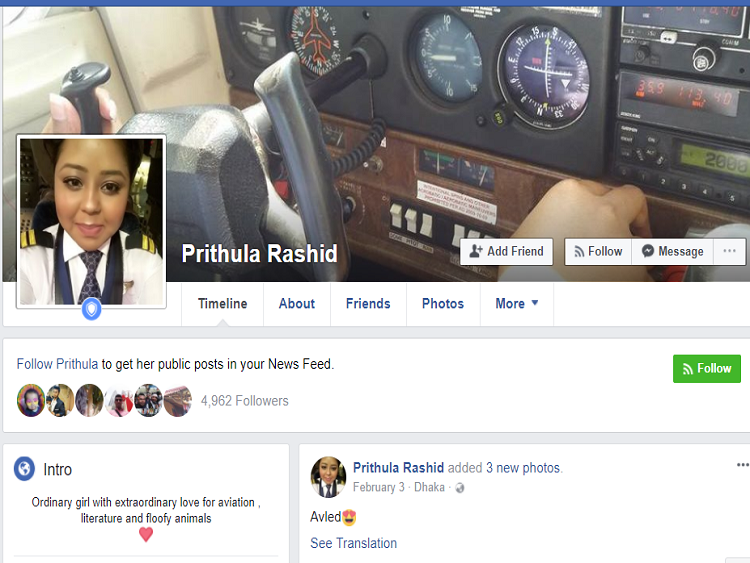 Her name was Miss Pritula Rashid. 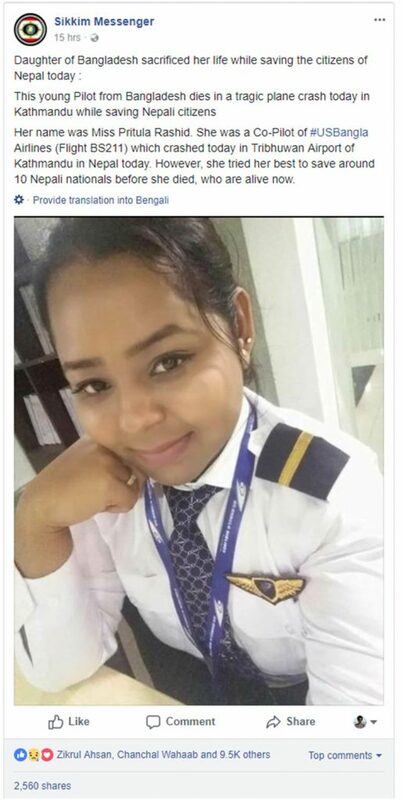 She was a Co-Pilot of #USBangla Airlines (Flight BS211) which crashed today in Tribhuwan Airport of Kathmandu in Nepal today. However, she tried her best to save around 10 Nepali nationals before she died, who are alive now.